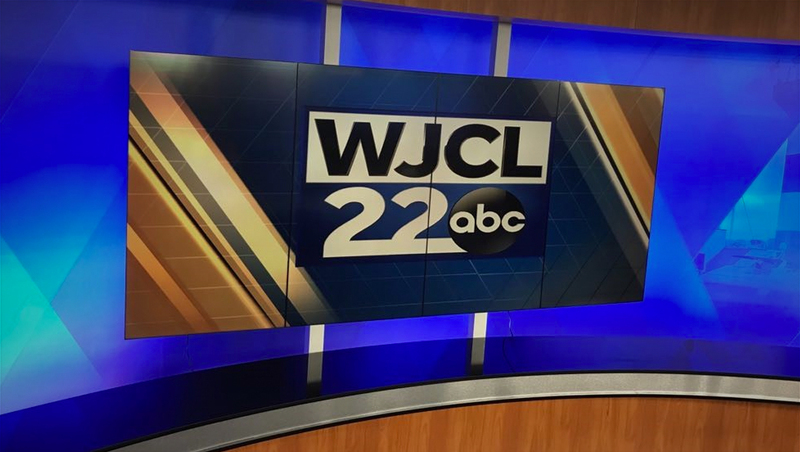 Hearst’s ABC affiliate in Savannah, Georgia, WJCL, has added a Primeview video wall to its set. The set now includes four 55-inch IPS FHD panels, PRV55SNG01URSDI, with SDI connectivity natively embedded in the array. The portrait oriented video panels themselves are mounted using PRV Rapid Rail Mounts (PRVRRM-P). 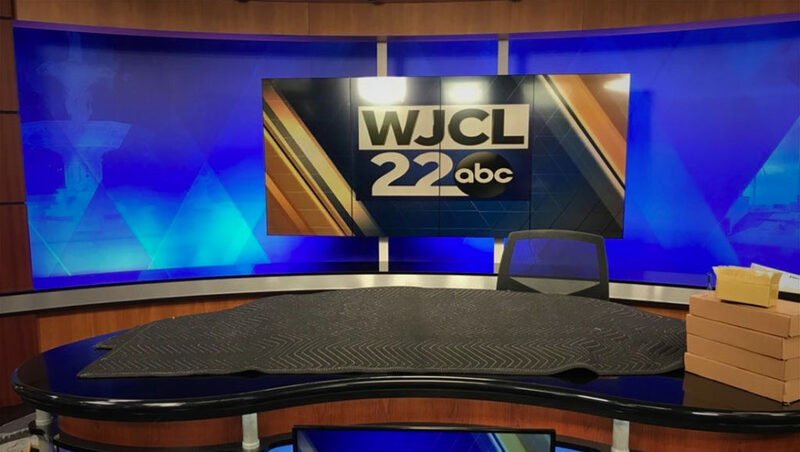 The video panels are situated camera center behind the station’s anchor desk, allowing it to add a level of flexibility to the set for both branded and topical graphics, including ones using the group’s signature “diagrid” pattern, which is also featured prominent in the duratran behind the video wall.